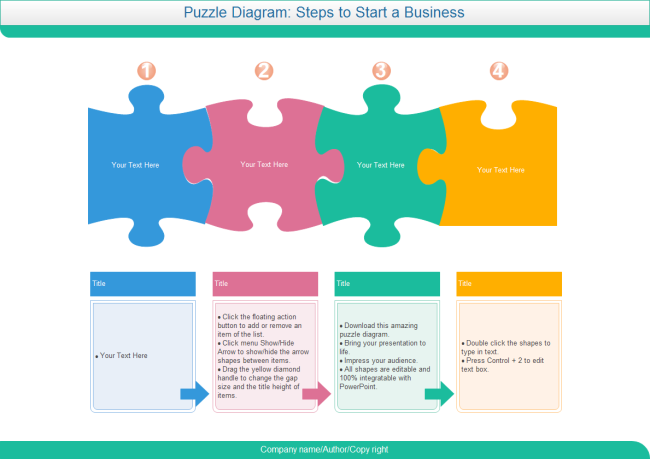 Description: A great puzzle diagram for designing catchy slides. Download it for free, edit it according to the instruction, fill in your own contents. Very simple and easy.